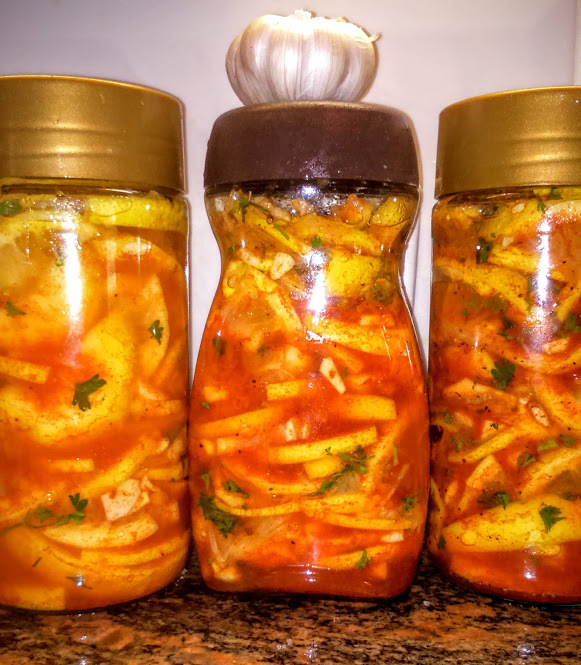 Fermented Lemons are a very good for dressing vegetable salads, easy for prepare and fool of vitamins . They have all the benefits of lemons plus benefits of fermented fruits. You will not need to prepare more dressing to your salad – it will already wait in your refrigerator. It will be a specific and very interesting spicy flavour that bring new taste to the salads. Lemon and Garlic – cut. Sprinkle lemon paprika, salt, add the garlic.Mix. Leave for a couple of hours for to let lemons to do juice. Fold tightly in a jar, pour the oil on top of that so the pieces will be covered. 1 kg of lemons – 75 g of salt. Add (optional) sweet or spicy paprika (1 teaspoon). Close the lid and place the jar and put in a well lit place. After one day the lemons should be covered with juice. 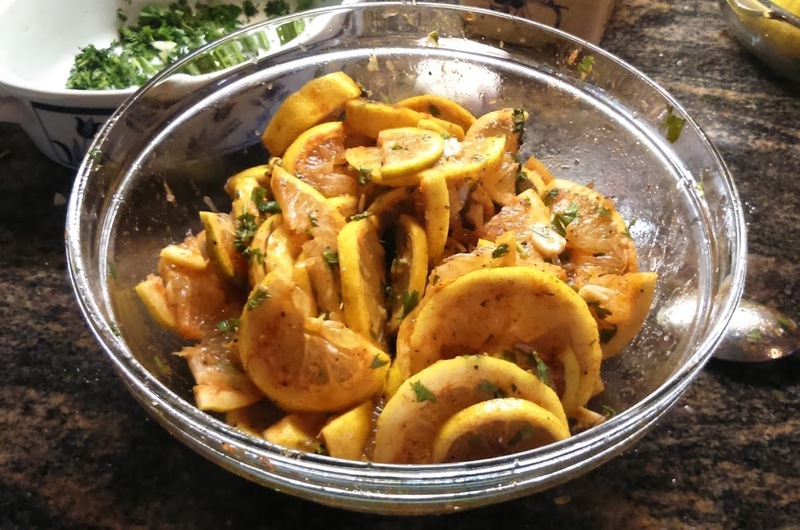 If not – add fresh lemon juice in an amount such that its level was above the level of lemons. On top of juice, pour into a jar of olive oil, it will prevent souring. Ready for use after 1-2 days and look so beautiful:)! Fermentation takes all the bitterness!